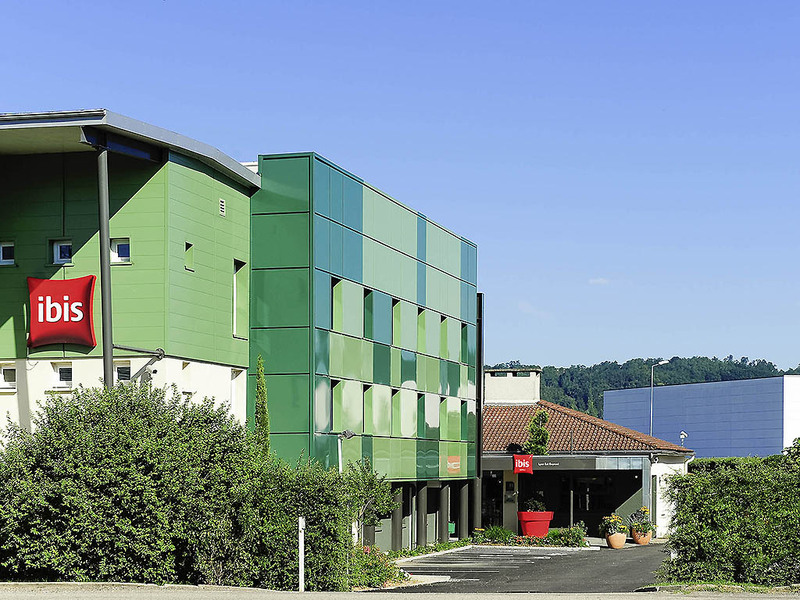 The Ibis Lyon Hotel Beynost A42, located 15 minutes from the Cité Internationale de Lyon and Lyon-Saint-Exupéry Airport, 20 minutes from Eurexpo and the Olympic Park (Groupama Stadium), is accessible from Exit 5 of the A42. It has 74 air-conditioned rooms and a free covered car park. WiFi internet access is available. The bar offers a 24-hour snack menu with table service at the bar or take away to your room. 20 minutes from the Lyon city center, the medieval city of Pérouges, the bird park of Villars-les-Dombes, 5 minutes away the large park of Miribel-Jonage.